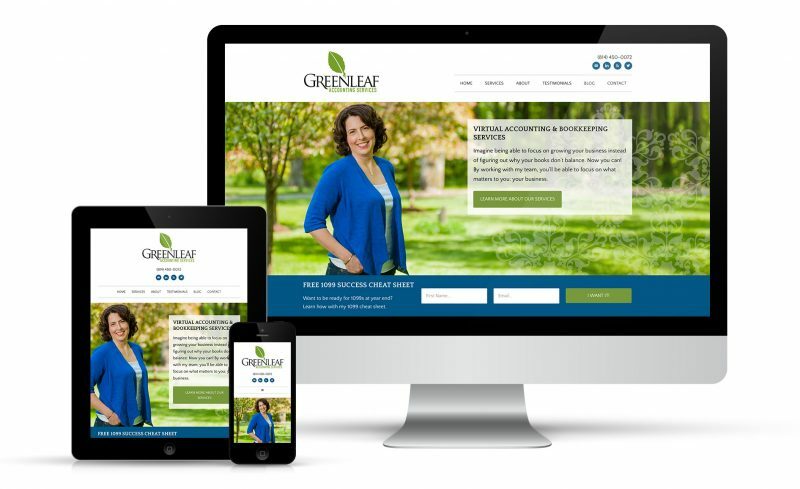 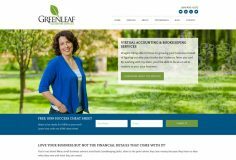 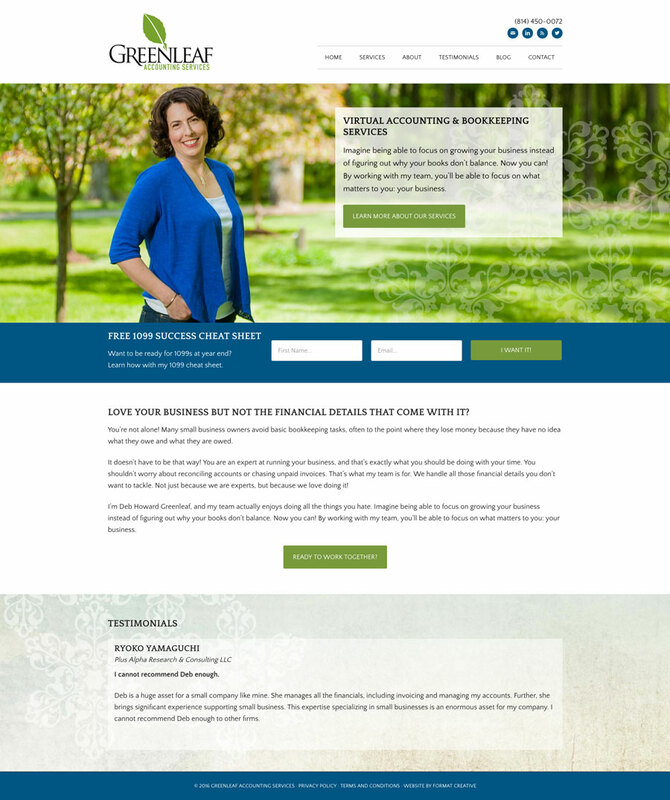 Greenleaf Accounting already had a great logo. 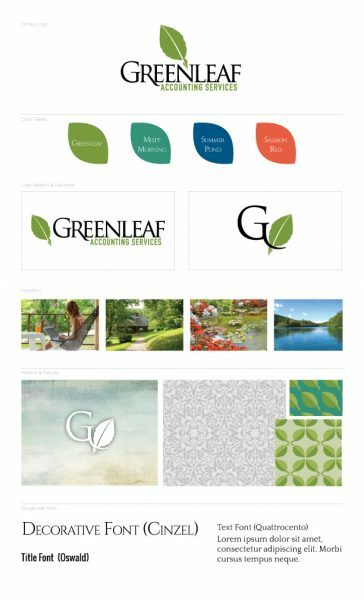 But in order to take full advantage of the website redesign, we opted to create a mini brand board to figure out the perfect complementary colors, fonts, and imagery. 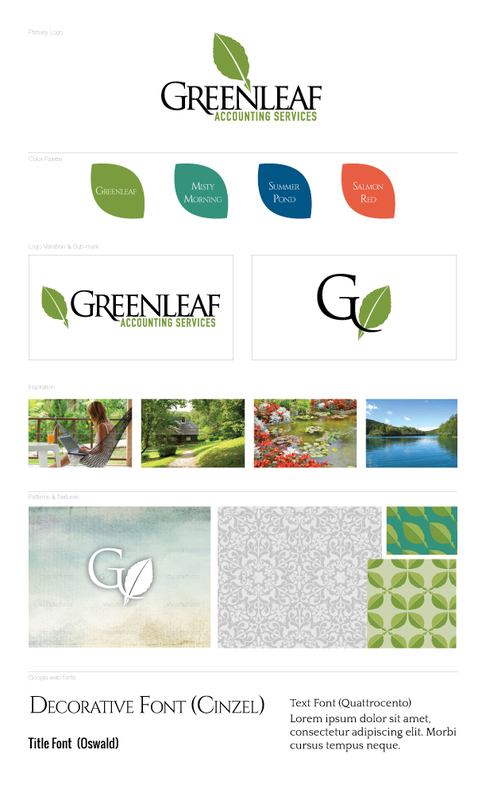 This mini brand board included a variation logo (so that she can use her logo in a horizontal space), a sub-mark, and 2 custom patterns using her leaf design.